The LG G-Slate - AKA the LG Optimus Pad - coming with 3D recording? LG is planning to launch the UK version of its Optimus Pad tablet at MWC 2011 and it will come with a 3D screen and 3D recording capabilities, according to a French news site. 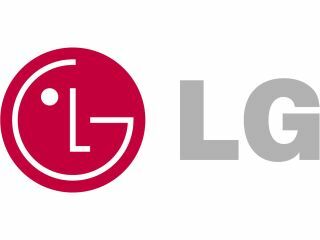 GPSandco is stating that an LG spokesperson in France confirmed some of the details for the new tablet, with the most exciting being the fact it can apparently record in 3D thanks to two separate webcams. The 8.9-inch display will also be 3D-enabled, using auto-stereoscopic displays to do away with the need for glasses - which will be very cool if (as seems likely) true. The LG Optimus Pad (we're still to hear the name for the UK at this point) will also have the same Nvidia Tegra 2 dual-core heart as the Motorola Xoom, with two 1GHz processors powering the Android 3.0 OS. The site is also claiming that USB ports and an HDMI connector will be included, and a variety of memory sizes will be added too, in the same vein as the iPad. A possible LG Optimus pad price has been speculated on too, with the notion of €299 (£250) sounding like a very attractive proposition - although we'd be surprised if it landed at this price. We've spoken to LG UK to get confirmation of these specs, but were met with the usual 'We don't comment on rumour or speculation' response - so we're not sure if the French LG spokesperson is bogus or not. If a 3D screen on an LG tablet does emerge, then it will be a seriously strong USP for the brand at the start of the Android tablet race.